It takes strength, courage, and resilience to become an Elder. Day by day, handshake by handshake, and embrace by embrace, an Elder builds a life and establishes a legacy. Everyone deserves to have their assets and quality of life protected and sustained to the greatest extent possible according to their wishes and values. 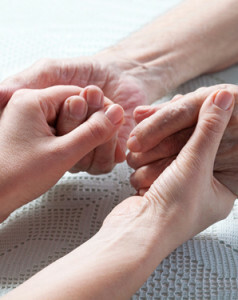 These goals are at the heart of Elder law. 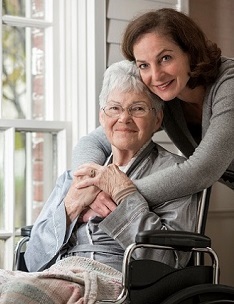 An Elder law attorney can help with a variety of complex legal issues that arise for many families that relate to adult guardianships and conservatorships, Elder financial abuse, and Medicaid planning and eligibility for long-term care. The Law Office of David Ahrens, LLC provides exceptional and compassionate legal representation focusing exclusively on Elder law, estate planning and probate matters. Regardless of your Elder law, estate planning or probate issue, you will find a skilled, tenacious, and unwavering legal advocate at the Law Office of David Ahrens, LLC. The Law Office of David Ahrens, LLC serves Elders and their families in Boulder County and across the Front Range and mountain communities of central and northern Colorado. I have consulted with David Ahrens on some elder law matters. He has been very helpful in explaining complicated matters in a way that they become easily understood. He has shown patience in talking to my parents, spending the time they needed to understand the things he was working on. The items he prepared and the matters he addressed were done quickly and accurately. David is upfront about his fees so you have no mystery about costs. He is a professional attorney who knows what he is doing and someone I will continue to use. -- Dan S.
Ten thousand thank you's to David Ahrens and his law firm for the professional and excellent job he did in writing the papers for our will and estate planning. If you want an attorney and a law firm representing you that has impeccable integrity, compassion for clients, a passion for legal matters plus a thorough understanding of legal knowledge and expertise with precise attention to details and organization and all of this delivered in a sincere, friendly "down to earth" manner then we highly recommend David Ahrens and his law firm to represent and help you. You will not be disappointed! -- Kathy S.
I would highly recommend David Ahrens as a champion of elder law and estate planning. I moved from Missouri to Colorado in 2007 and needed to have my trust updated and amended in accordance with Colorado law and to reflect my current situation as I move into my senior years. I wanted my family and loved ones to have clarity and clearly defined directions as to my wishes in case of an unexpected death or lingering illness. David’s warm, compassionate and caring personality actually made the process easy and fun. David loves personalizing every client’s plan to make sure it is in compliance with the law and easily read and understood. I so appreciate David’s honesty and legal advice. He loves helping and serving people allowing them to have peace of mind knowing their affairs are in order. -- Sarah H.
David helped a client of mine who needed assistance with a legal problem that needed immediate attention. He evaluated the situation and acted swiftly, professionally, and with amazing kindness and compassion. I was extremely impressed by David and have already referred him to other clients. -- Candy S.
David Ahrens and his law firm were very effective and helped me out a lot when I was going through a difficult work transition. He provided me with compassionate, friendly counsel and is very open to explaining legal issues in a way that is understandable to those of us that are not in the legal field. I highly recommend David Ahrens and his law firm and will absolutely seek his counsel and representation with any future legal matters. -- Nick A. Please note that the material provided on this website is for informational purposes only and should not be considered legal advice. 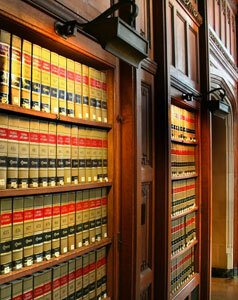 You should consult an attorney before assessing or proceeding with legal matters. Further, accessing this website does not create an attorney/client relationship. Although the Law Office of David Ahrens, LLC will gladly receive your phone calls, letters, and/or e-mail correspondence, such contact does not establish an attorney/client relationship. Please do not send any confidential materials or information to the office until an attorney/client relationship has been created.